Hotel Angel Regency is a fine place to stay when one is in Bhopal. The bedrooms at the hotel become attractive due to its metallic painted and wallpaper covered walls, bringing liveliness to the whole place. The cushioned headboard offer comfort to the guests and the large windows let in the sunshine. A dining area is made available for the guests to use whenever they want. 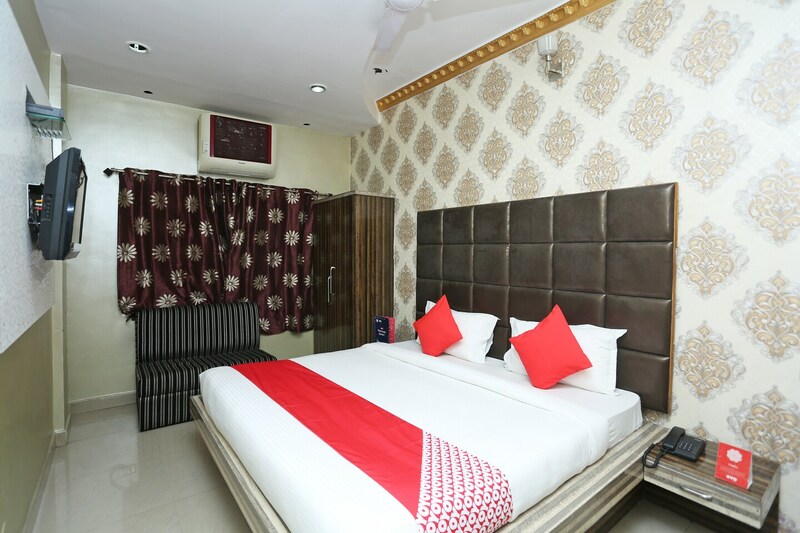 The hotel also provides its guests with free Wi-Fi and power backup so that they can remain connected with the rest of the world during their stay. Other amenities offered by the hotel are a laundry facility and a card payment option.